Get into the Game of Thrones spirit at these spots around L.A. It may be Spring but Winter is definitely here in L.A. The highly anticipated final season of “Game of Thrones” is coming this Sunday, April 14 and no matter which house you are pulling for, we can all agree, we like to drink. Check out these bars across Los Angeles that are toasting to the end of GOT properly. 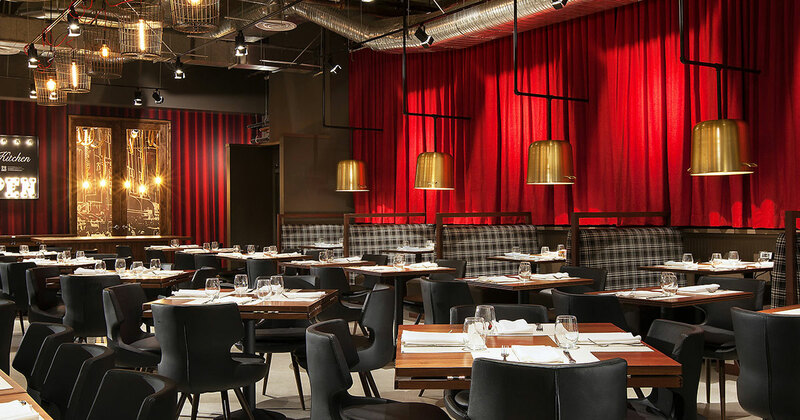 No matter which king or queen you’re rooting for to win the Iron Throne, Big Bar in Los Angeles is offering a month-long GOT-themed cocktail menu and kick-off party that is sure to be a hit across every house of Westeros. 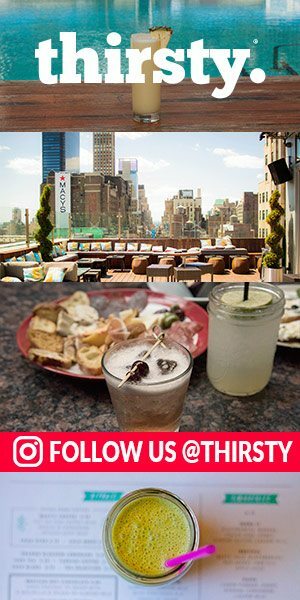 In honor of the show, the bar will be putting a GOT twist on their annual spring party on Friday, April 12, transforming the space into the different realms of Westeros, including a real ice wall and specialty cocktails inspired by the show. 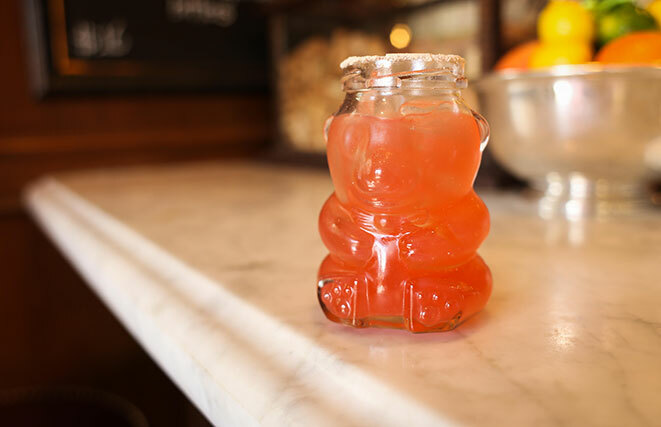 One cocktail called “Little Bear” is inspired by one of the best stink-faces in the show, Lady Lyanna Mormont of Bear Island. The cocktail, created by bar manager Cari Hah, who is as mighty as Lady Mormont herself, features Aberfeldy 12-Year-Old Scotch, berries, honey, rosemary and a grain powder rim and is served in a small bear glass. 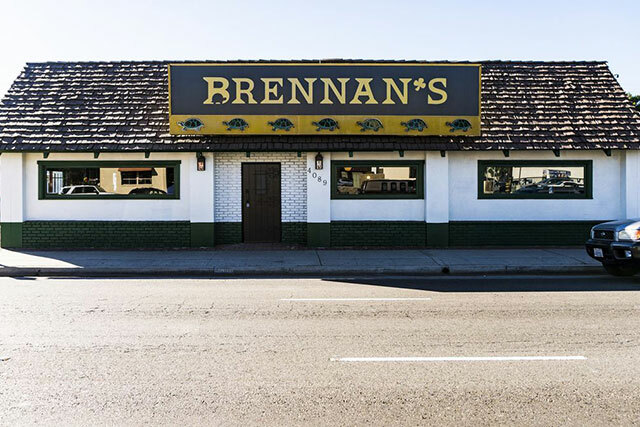 Brennan’s may be best known for its turtle races, but this weekend, it’s a whole new kind of battle. The Playa del Rey pub is going all out for fans including the chance to win a full-size replica of the Iron Throne. The bar commissioned an enormous mural of the Night King painted by local artist Jonas Never), and on April 14, they’ll be screening the season eight premiere, offering themed drink specials and raffling off their throne. 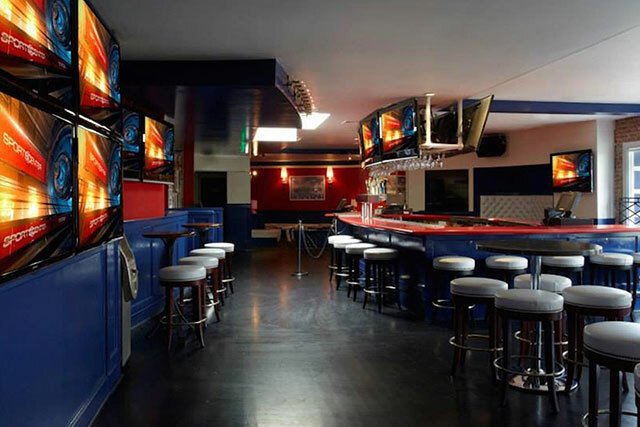 Miracle Mile sports bar Busby’s East, a Miracle Mile sports bar will not only be showing the season eight premiere on two massive projector screens, but an earlier screening of the season seven finale to give fans a refresher. The fun starts on Sunday at 6 p.m. with the recap viewing, then continues into the evening with a costume contest, GOT trivia and a themed food and drink menu. 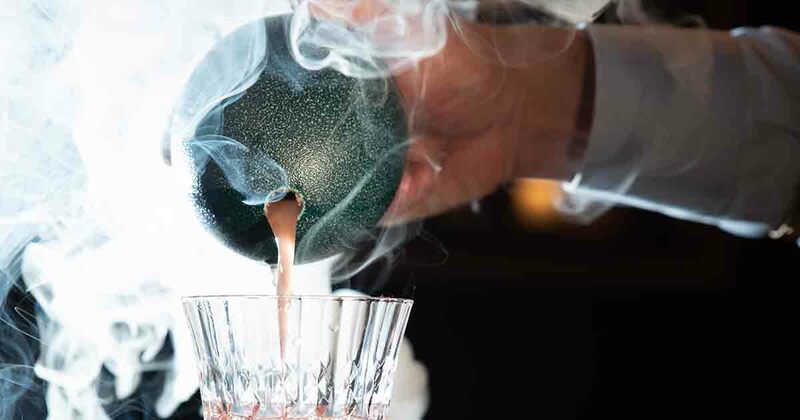 In the lobby of the Kimpton Hotel Hollywood, fans will find an entire “Game Of Thrones”-inspired cocktails at Ever Bar, where the drinks each correspond to one of the major houses. There’s the House Lannister, made with vodka, St. George Pear Liqueur, dry curaçao, syrah, lemon, gold; the House Greyjoy, made of rum, scotch, Leopold Bros. Aperitivo, lime, earl grey tea, sausage and salt; and the House Stark, of whiskey, Fernet, honey, cream, “weirwood leaves” and a dusting of “snow” (powdered sugar), to name a few. Find these drinks at the bar through the season’s run. 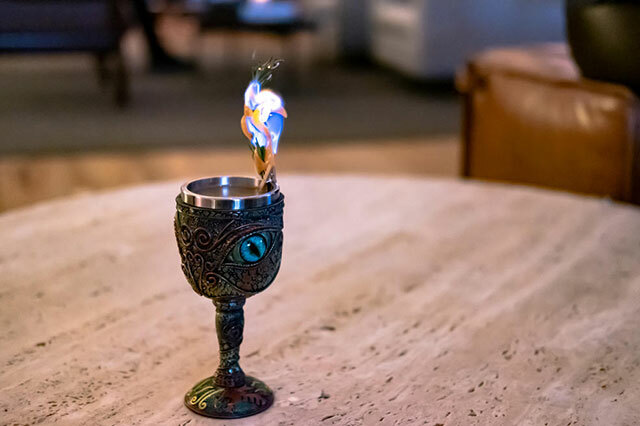 Hollywood’s neighborhood “geek bar” Scum & Villainy Cantina, which used to house the “Star Wars”-inspired pop-up has transformed as Scum and Villainy: Fire and Ice, which celebrates “Game Of Thrones” all month long. Now through April 28, the bar serves as a portal into the “Game of Thrones” world of Westeros. 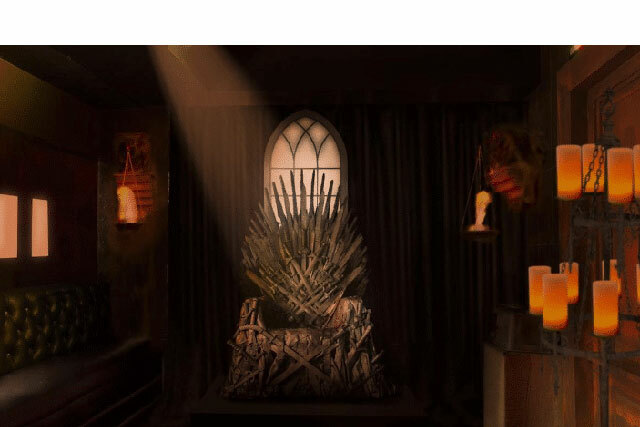 Fans can selfie their way through the torchlit setting, from design team at Damn Good Shindig, complete with Iron Throne, Weirwood tree and wolf and dragon banners, booths decorated with candelabras and faux fur, as well as dragon heads. Think cosplay meets cocktails. The “Game of Thrones”-themed programming throughout the pop-up’s run, includes a Diageo Scotch tasting from 1:30 p.m. to 5:30 p.m. on Saturday, Season 8 viewing party on Sunday, trivia contest from 8 p.m. to 11 p.m. on April 16 and a live-action game of Dungeons and Dragons on April 23 with Dungeon Master Eric Cherry as the guide. People who show up in costume can get discounts on their tab. 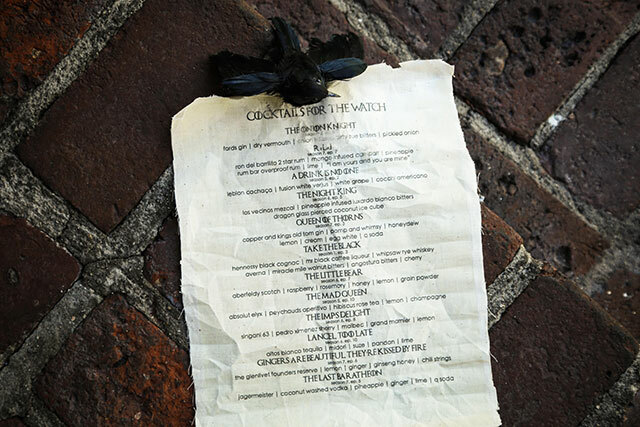 There is a “GOT”-themed cocktail menu with fun names like the You Know Nothing made with Monkey Shoulder scotch, Woodford Reserve bourbon, Ancho Reyes chile liqueur, sweet vermouth and chocolate bitters, the Red Wedding, made with Irish Cream, Kahlua, Godiva white chocolate liqueur and strawberry puree and the Castle Black, made with a combination of Old Crow whiskey and Miller Lite. For those who don’t drink, order up The Unsullied made with ginger beer, cranberry, lemon, soda and bitters. Most but not all events are free.